My Mom in her eighties is still the most beautiful person I’ve ever seen inside and out and though lately she has become a little sensitive at times she’s still the best. She’s the friendliest person I’ve ever met and up to this time her list is still counting. She’s also a very optimistic person but on some occasion her positive outlook gets affected by her ill feeling. Anyway she always has nuggets for wisdom and I still remember what she’s always telling me since I was a little child. She always reminds me that a simple thought and care to an old fellow is something that they value a lot. 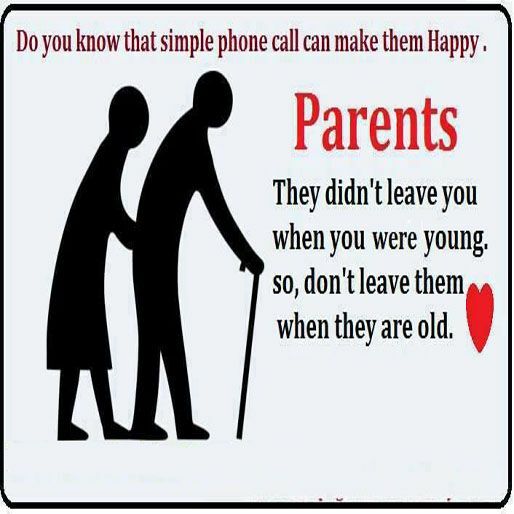 When your parents get old and children gets so busy with family, career, personal life and every little thing they want to achieve they tend to forget their old parents who are always waiting for their phones to ring. It would take just one call to make them happy. I’m very lucky to be with my Mom the whole of my life and for that I learned that what she told when I was just a kid is true. When she gets sick and lonely it would only take one call from my big brother and she would be very happy and well. I always tell them that Mom would be well if my brother would drop by and visit her. He didn’t have to do anything, bring anything or say anything- just seeing him would certainly perk up my Mom’s feelings. Both me and my sister lives with our Mom so she gets to see us every day, make little requests from anytime and talk/chat with us every morning or evening. It’s my brother whom she didn’t see daily that the magic of her sickness happens when she misses him. He is her one and only boy and maybe when one of my kids will come to live far from me in the future I’ll feel the same also. Every individual will get old in time but what’s important is showing our love to them when the sunset of their life comes. We should make an effort to call them regularly, drop by every now and then or let them feel they’re always remembered even though you’re apart. They didn’t left or forgotten you when you’re young so they deserve to have our best attention and love when they’re old and misses us.